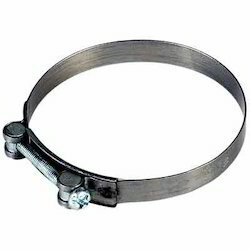 Manufacturer of a wide range of products which include hose clamps and ms hose clamps. We are counted among the leading manufacturers and suppliers of House Clamps in the market. 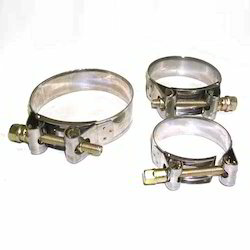 These hose clamps are fabricated using the finest grade raw material such as quality steel that is procured from reputed sources of the market.We offer customization of these premium quality products in different sizes hose clamps to meet the requirement of customers. We have gained expertise in providing our clients with MS Hose Clamps that are manufactured using high grade stainless steel material. These MS Hose Clamps are available in various sizes, shapes and designs at most competitive prices to fulfill the demands and requirements of our customers. In addition to this, our MS Hose Clamps products are stringently checked and tested by expert quality controllers to ensure flawlessness. Looking for Hose Clamps ?